Background/Info: Juno Reactor is the creative brainchild of Ben Watkins. He became one of the pioneers and Godfathers of the goa-trance movement and has released numerous ground-breaking albums. Juno Reactor strikes back with a first single in years while it’s also 4 years ago now since the band released its last ‘new’ album. Juno Reactor is actually busy with a new live show featuring The Mutant Theatre. 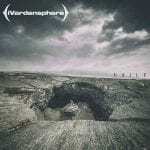 Content: “Our World” is a typical Juno Reactor song, which is carried by heavy bass lines, furious rhythms, tribal elements and female mystical chants joined by some male spoken-like vocal parts. The single features 2 mixes, which aren’t that different from each other. 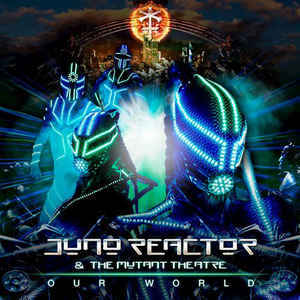 + + + : If you know Juno Reactor “Our World” will not exactly take you by surprise. But at the other side the track reminds Ben Watkins is one of those genius composers who has created a very own sound leading to genre of music. 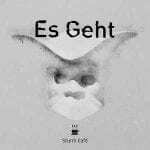 I like the sophisticated approach mixing bombast, great tribal percussion parts and the mystical chants. – – – : I already have heard much more convincing songs from Juno Reactor. There’s no real innovation here although it remains a very single experience in sound. I expected an extra ‘new’ song or maybe a few more diversified remixes. Conclusion: Juno Reactor is back, but before we’ll get more new stuff the band is first of all busy with a new tour, which has been already announced as a great visual happening! Best songs: “Our World – Original Mix”.